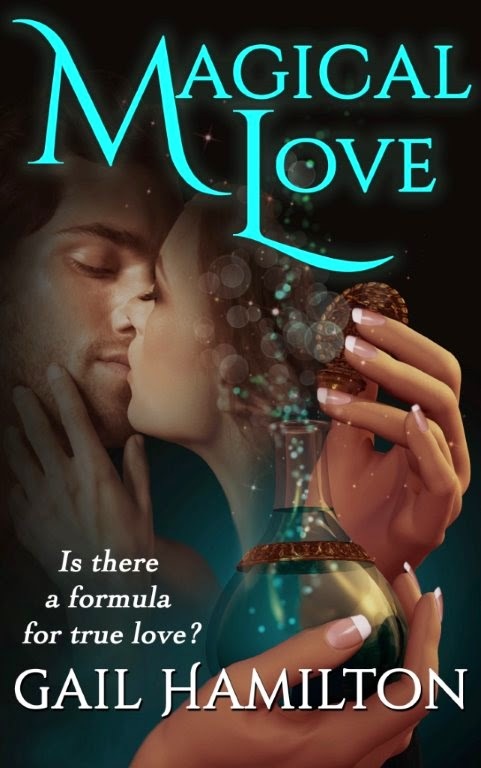 When two people fall in love it’s magical…but sometimes the magic needs a little nudging… Or so biochemist, Jason Lucas, thought when he developed a formula to help love-challenged people like himself find true love. Ironically, in Will He Be Mine, the millionaire scientist unwittingly begins a searing relationship with one of his test subjects and comes to question the feasibility of any love-enhancer concoction. Determined to stop all testing on his love-enhancer, Jason elicits the help of his assistant, Lydia, to collect the last samples from nerdish test subject, Damone Reid. This quest propels the curvaceous, African American woman into a wild adventure in Man on The Run, fueled by a rejuvenated, romantic Damone, who sweeps her away and off her feet. Unfortunately, Damone’s samples go astray, and end up in Penny Clark’s perfume. In Animal Magnetism Penny is thrilled to find she has unusual skills around wild animals. Intrigued by her abilities, rugged veterinarian, Garth Snowdon , soon falls under her spell. But after one night of explosive passion their love is put to the test when Garth discovers Penny’s heartbreaking secret. Magical Love tells the stories of three couples whose lives change drastically after using the love-enhancer formula. Yet despite the heated romances, the emotional intimacies, doubt creeps into the relationships—is it true love or is it the formula? Smoothing her hair, straightening her clothes, determined to put her best foot forward, Penny grasped the door handle. Pulling it open, she stepped decisively inside. She was in a bare concrete corridor with barred cage doors on one side. All were closed except the one opposite Penny, which stood wide open. Only feet away, a man was backed up against the wall. Backed up for good reason. An enormous Siberian tiger, loose in the corridor, was fixed on him, lips pulled back in an ominous snarl. Without moving a muscle, the man hissed urgently at her out of the side of his mouth. "Whoever you are, get out before the tiger sees you!" No part of Penny's body would move. No part of her brain was able to give a command. Not when the great cat's head swiveled around and fixed Penny with its terrible yellow eyes. Slowly, it lifted its head, cocked it to one side, and then took a step in Penny's direction. Penny found out what it meant to die a thousand deaths inside of an eye blink. She actually felt her heart slow down, beating in huge, lolloping thuds as though struggling in heavy molasses. The tiger took a second step toward her. Then another, until it was near enough for her to feel the heat of its breath as it sniffed at her harshly. Its fierce yellow gaze burned into her. The striped head, up close, was massive. "N-n-n-nice k-kitty," she heard herself croaking out idiotically. "Why don’t you go back into your c-c-c-cage?" The huge cat’s lips quivered, again revealing a terrifying flash of fangs. But the tiger’s tail, which had been lashing the whole time, suddenly slowed. The menace seemed to die quietly away. With a final, assessing stare at Penny, the animal turned away and padded through the open cage door into the dimness inside. Instantly, the man sprang away from the wall and clanged the cage door shut. Next, he clamped an arm around Penny’s waist and swept her out through the metal door into the sunshine and the normal world where loose tigers did not roam. It was a good thing the man’s arm was strong. Once outside, Penny’s knees gave way. She would have sunk to the ground had not the fellow held her upright. Instead, she collapsed against him. For an endless moment, they stood leaning together. Penny could feel the man’s heart thumping like a steam hammer. When her own heart started to remember how to beat like it wasn’t going to explode any time soon, Penny came to herself enough to stand on her own and peel herself off the man’s chest. She was incoherent. And felt as though the man’s shirt buttons were imprinted on her flesh. Penny jumped and stared. The face next her was volcanic. Two pale blue eyes blazed out at her. Muscles stood out in ridges all along the man’s jaw. “I thought you saw me on a camera and were asking me to come in,” Penny cried. That, at least, stopped the next hot burst. The angry mouth opened and then shut again. The jaw muscles smoothed down a bit. The man ran rigid fingers through a wavy, dark windblown hair and struggled visibly to get a hold of himself. Two male brows slid together thoughtfully. A great deal of the volcanic heat in his face subsided. The man began to look Penny over closely. “No,” he said with a tone of incredulity, “she didn’t. That tiger was badly abused and came to us pregnant. She’s usually ready to maul anything within reach. But when you…well, I’ve never seen her calm down so quickly. Who are you anyway?" Yeah, right. So just how had Dr. Snowdon himself managed to get cornered in there with no means of escape in sight? As the man motioned for her to follow and set out toward the house, Penny knew this wasn’t the time to ask. Inwardly she debated just making a dash for her car. How badly did she need a job that involved near death by tiger? “Call me Garth,” the fellow said over his shoulder. As they approached the house, Garth’s hand slipped lightly to Penny’s waist to guide her into the rear garden. Just as he was thinking the waist was nicely trim and supple, he got a full whiff of her perfume, Lucky Love. He had to stop himself from wheezing. Migawd, what is that perfume! It could knock over a horse! Quickly, he stepped out of range, and seated Penny on a stone bench. This woman had recklessly walked straight through an off-limits door and almost into a tiger’s jaws. He couldn’t afford anybody careless enough to make a possibly fatal mistake. On the other hand, she hadn’t screamed or done anything stupid when Sabir approached her. Also, his chest still throbbed with the memory of her body collapsing against him. She had made an impression on him. A very strong impression. 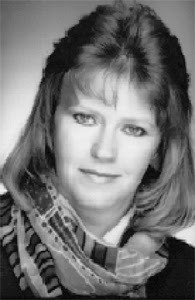 Gail Hamilton has been creating novels since the great romance boom of the eighties, writing for Harlequin and other publishers. She has been a farm hand, English teacher, ad copywriter, and once rode a British Bedford truck across the Sahara and back to see Timbuctu. All of it is fodder for her fiction. She is drawn to action, romance, adventure and characters with a distinctly odd twist. These show up in her many romance novels and her fast-moving historical novel, The Tomorrow Country. After trying urban life in Europe and Toronto, Gail returned to live on the family farm where she grew up. In this rural corner hugging the north shore of Lake Ontario, Gail digs into the rich, raucous local history. She cherishes a secret passion for animated movies and loves snapping photos of nature all around her, reading the constant changes like a newspaper every morning. What better place to hatch brand new tales for everyone’s enjoyment. It is of course an easy excuses when you start having second thoughts, to blame a potion that probably never worked ...But I am intrigued, adding this to my wishlist. This definitely caught my interest, to GoodReads I must at once!